The purpose of this case report is to describe chiropractic management of a patient with pregnancy-related lumbopelvic pain. A pregnant 35-year-old woman experienced insidious moderate to severe pregnancy-related lumbopelvic pain and leg pain at 32 weeks’ gestation. Pain limited her endurance capacity for walking and sitting. Clinical testing revealed a left sacroiliac joint functional disturbance and myofascial trigger points reproducing back and leg pain. A diagnosis of pregnancy-related low back pain and pregnancy-related pelvic girdle pain was made. The patient was treated with chiropractic spinal manipulation, soft tissue therapy, exercises, and ergonomic advice in 13 visits over 6 weeks. She consulted her obstetrician for her weekly obstetric visits. At the end of treatment, her low back pain reduced from 7 to 2 on a 0-10 numeric pain scale rating. Functional activities reported such as walking, sitting, and traveling comfortably in a car had improved. This patient with pregnancy-related lumbopelvic pain improved in pain and function after chiropractic treatment and usual obstetric management. The purpose of this study was to compare improvement rates in patients with low back pain (LBP) undergoing chiropractic treatment with 0-2 weeks vs 2-4 and 4-12 weeks of symptoms. The time period 0-4 weeks as the definition of “acute” should be challenged. Patients with 2-4 weeks of symptoms had outcomes similar to patients with subacute (4-12 weeks) symptoms and not with patients reporting 0-2 weeks of symptoms. Patients with 0-2 weeks of symptoms were significantly more likely to “improve” at 1 week, 1 month, and 6 months compared with those with 2-4 weeks of symptoms. Patients with 0-2 weeks of symptoms reported significantly higher numerical rating scale for pain (NRS) and Oswestry change scores at all data collection time points. Outcomes for patients with 2-4 weeks of symptoms were similar to patients having 4-12 weeks of symptoms. Sudden cardiac death (SCD) is a leading cause of death in the US. Research suggests that the burden in terms of years of potential life lost because of SCD exceeds that of any type of cancer, another leading cause of death in the US. However, patients with obvious cardiac symptoms are the “tip of the iceberg.” Asymptomatic individuals have the greatest risk for SCD. Currently no effective means exist for early identification of those at risk for SCD. However, a new study is the first to determine lifetime risk for SCD, as well as the first to look at the impact of well-known risk factors on lifetime risk. Their findings demonstrate that men have at least twice the risk of dying from SCD as women do, at all ages, according to results from the long-running Framingham Heart Study published June 29, 2016 in the Journal of the American Heart Association. Results also showed that those with more cardiovascular risk factors, as well as those with elevated blood pressure (BP) alone, had an increased risk for SCD. 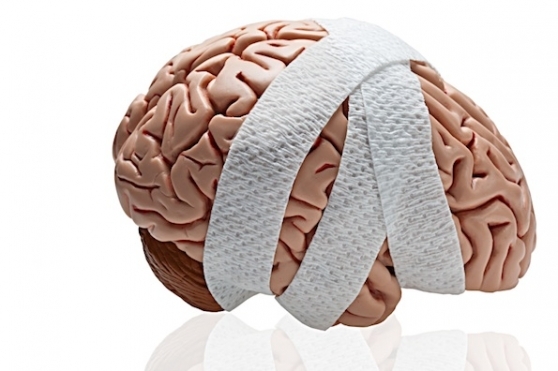 Even though they no longer had symptoms, young athletes who had a concussion still had changes in the white matter of their brains half a year after their injury, researchers found. Among seemingly healthy first-degree relatives of patients with ankylosing spondylitis, one-third actually fulfilled classification criteria for spondyloarthritis. Early diagnosis of spondyloarthritis has been hampered by the disorder’s insidious onset and slow progression, which often has resulted in delays in treatment and structural damage. Studies have demonstrated an increased risk for spondyloarthritis among relatives of patients with ankylosing spondylitis — the prototypical subtype of spondyloarthritis. Those studies have suggested that 10% to 12% of first-degree relatives of patients with ankylosing spondylitis develop the disease themselves, and that the risk is two-fold higher in HLA-B27 positive patients. In a group of 51 first-degree relatives of 36 probands with ankylosing spondylitis, 17 (33%) met the criteria for spondyloarthritis established by the Assessment of Spondyloarthritis International Society (ASAS) or the European Spondyloarthropathy Study Group (ESSG). Eight different diabetes drug classes examined in a meta-analysis failed to demonstrate improved cardiovascular or all-cause mortality compared with placebo. 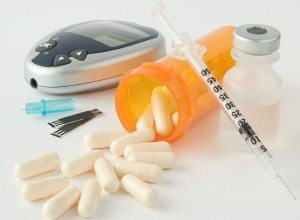 Researchers analyzed 301 randomized clinical trials of patients with type 2 diabetes, and found that, metformin outperformed some other drug classes for its effect on hemoglobin A1c levels, there were no significant differences in mortality -- including when placebo was included as a drug class. "A central finding in this meta-analysis was that despite more than 300 available clinical trials involving nearly 120,000 adults and 1.4 million patient-months of treatment, there was limited evidence that any glucose-lowering drug stratified by coexisting treatment prolonged life expectancy or prevented cardiovascular disease," the authors wrote. Time to Add Migraine as a Marker for Later Life CV Risk? Women who have migraine headaches have a significantly increased risk of cardiovascular disease, according to new results from a large observational study. Earlier studies have established a strong link between migraine and stroke, which the new study now extends to other types of cardiovascular disease. However, the clinical implications are uncertain since there is no definite mechanism to explain the association. Three days of sleep restriction slows metabolism and impairs performance in elite cyclists, a new study shows. Elite athletes often don’t get enough good-quality sleep, but little is known about the effect of this on physiology and exercise performance. To investigate, researchers enrolled 12 healthy 18- to 35-year-old elite male cyclists in a randomized crossover study. The cyclists had their sleep restricted from 8 hours to 4 hours for 3 days. Outcome measures before and after the intervention demonstrated that after 3 days of sleep restriction, time to exhaustion decreased by 51 seconds, a difference of 14.4% from baseline, at which time they were getting 7.4 hours of reported sleep. In addition, maximal aerobic power decreased 2.8%. Maximum volume of oxygen did not change with sleep restriction, consistent with the hypothesis that their aerobic capacity would not change with restricted sleep but that they would have a performance decrement, which is what we observed. Submaximal heart rate also decreased after sleep restriction, as did peak heart rate. Metabolism also took a hit with short sleep; energy expenditure during 20 minutes of submaximal exercise decreased by about 4%. There was also a slowing of response time of 15.5% on the PVT. Exercise was found to be an effective stand-alone treatment for obstructive sleep apnea (OSA) in a newly published meta-analysis, but more research will be needed to determine the mechanism behind the observed association, researchers say. In the analysis of eight small studies with a total of 182 patients, both supervised and unsupervised exercise was associated with significant decreases in the apnea/hypopnea index (AHI) and improvements in other sleep measures, including the Epworth sleepiness scale (ESS). “We noticed that a number of patients who began exercise programs for other conditions, such as hypertension or diabetes, showed improvements in their OSA symptoms which were confirmed when we went back and redid their polysonography.” Exercise has been shown to greatly reduce the risk and severity of diseases associated with OSA, including diabetes, cardiovascular disease, hypertension, and obesity. Earlier research has also shown improvements in OSA symptoms linked to exercise, but these studies have been small, the researchers noted. "It is not fully understood how exercise reduces OSA symptoms, but previous reviews have indicated that the impact of exercise on OSA is not related to reduction of body weight or BMI in both epidemiologic and experimental studies." Older adults and those with bleeding risk factors should choose antacids that don't contain aspirin, the FDA warned in a drug safety communication noting continued cases of serious bleeding. Eight cases of serious bleeding resulting in hospitalization with these over-the-counter combination products have been reported to the agency's Adverse Event Reporting System since 2009, when the FDA added warnings of bleeding risk to product labels for all nonsteroidal anti-inflammatory drugs (NSAIDs), including aspirin. More events have likely occurred without being reported, the agency noted. 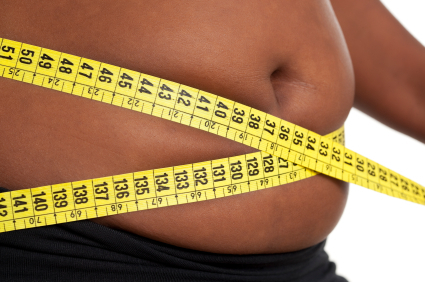 "The thrust of the final recommendations is to recognize that obesity is a complex, adiposity-based chronic disease, where management targets both weight-related complications and adiposity to improve overall health and quality of life," wrote the authors. The guidelines were an attempt to answer nine pragmatic and clinical questions about treating obesity like who should be treated and how diagnoses should be made. ADHD: How Did It Leap from Classroom to Boardroom? In 2006, interest in attention deficit hyperactivity disorder (ADHD) reached new heights after a major study found that 4.4% of adults in America had the condition. For decades, ADHD primarily had been a diagnosis in children, but the new study found it also affected as many as 10 million adults. What happened next followed a familiar pattern: more research papers were published and many of them were based on research funded by drug companies. What happened? Children and teens diagnosed with a concussion in the emergency department who returned to physical activity in 1 week had a reduced risk of persistent post-concussion syndrome compared with kids who did not resume early physical activity, according to a small observational study. In an unadjusted logistic regression analysis, kids who reported resumption of earlier physical activity were less likely to develop persistent post-concussion syndrome (defined as ≥3 concussion symptoms, as per the Post-Concussion Symptom Inventory) versus kids who did not (25% versus 43%, respectively). The first randomized head-to-head comparison of tai chi and conventional physical therapy (PT) in patients with knee osteoarthritis (OA) shows equally good pain relief with either intervention, researchers report, and researchers also show that tai chi was more effective than PT at relieving depression and improving the physical component of quality of life. The authors note that the usual drug treatments (nonsteroidal anti-inflammatory drugs or acetaminophen) for knee OA often fail to relieve symptoms and have been associated with serious adverse effects. PT is routinely included in knee OA treatment regimens and produces moderate improvements in pain and physical functioning, but has an uncertain effect on psychological well-being, as well as limited durability. Tai chi, which combines meditation; slow, gentle movements; deep diaphragmatic breathing; and relaxation, has long been a promising candidate in knee OA. A clinician’s attitude toward an individual patient may be a factor in many diagnostic errors. It’s important to be wary of the possibility of a diagnostic error, in particular a meta-cognitive error. This means thinking about your thinking and thinking about your feelings and how that affects the outcome. When the objective is to fix something that’s going wrong, it’s really useful to know how it actually works. Doing that involves a three step process: data collection, problem representation and subconscious matching. In the first stage, clinicians gather the patient's history, perform a clinical exam, and consider laboratory tests or imaging. Then, they look for specific details or "golden nuggets" that can direct them to a category of illness. Finally, the clinicians matches the information gleaned to an "illness script" or mental representation plucked from their "internal Rolodex of diseases." Gastroesophageal reflux disease (GERD) may be caused by an immune reaction, rather than direct chemical injury from stomach acids, according to results from a small, single-center study. These findings may suggest that the pathogenesis of reflux esophagitis may be cytokine-mediated rather than the result of chemical injury. Since 1935, convention has held that GERD, which affects about 20% of Americans, results from irritation of the esophageal lining as a result of refluxed acid from the stomach. A recent study in rats, however, has suggested that GERD may not be a result of chemical injury but, rather, a result of an immune reaction. Shifting the focus away from the "burning" effect of stomach acid toward an immune reaction may help explain subtypes of GERD that have been recently recognized. Research by the World Health Organisation has brought the enormous global burden of musculoskeletal (MSK) pain into focus. Low back pain (LBP), neck pain and other musculoskeletal disorders were ranked numbers 1, 4 and 10 respectively, among all health conditions for years lived with disability. These conditions were also identified as the main drivers of the increase in years lived with disability over the past 20 years. Although the epidemiology, burden and treatment of MSK pain in adults has been the subject of considerable research efforts, the same is not true for children. The dearth of clinical research relevant to children and adolescents has been highlighted by several authors. The purpose of this paper is to outline the current state of understanding with respect to MSK pain in people under the age of 18 years. Musculoskeletal (MSK) pain in children and adolescents is responsible for substantial personal impacts and societal costs, but it has not been intensively or systematically researched. This means our understanding of these conditions is limited, and healthcare professionals have little empirical evidence to underpin their clinical practice. In this article we summarise the state of the evidence concerning MSK pain in children and adolescents, and offer suggestions for future research. Seven types of emergency general surgeries (EGSs) account for the vast majority of all EGSs (80.0%), deaths (80.3%), complications (78.9%), and inpatient costs (80.2%), according to a retrospective review of 421,476 procedures performed in the United States. The surgical procedures include partial colectomy, small bowel resection, cholecystectomy, operative management of peptic ulcer disease, lysis of peritoneal adhesions, appendectomy, and laparotomy. Those who undergo an EGS operation are up to 8 times more likely to die postoperatively than are patients undergoing the same procedures electively. In addition, approximately half of all patients undergoing EGS will develop a postoperative complication, and up to 15% will be readmitted to the hospital within 30 days of their surgery," the researchers write. The complication rates were 42.80% for partial colectomy, 46.94% for small bowel resection, 8.06% for cholecystectomy, 42.00% for operative management of peptic ulcer disease, 28.09% for lysis of peritoneal adhesions, 7.27% for appendectomy, and 40.15% for laparotomy. The mortality rates were 5.33% for partial colectomy, 6.47% for small bowel resection, 0.22% for cholecystectomy, 6.83% for operative management of peptic ulcer disease, 1.59% for lysis of peritoneal adhesions, 0.08% for appendectomy, and 23.76% for laparotomy. Commit to physical activities you will enjoy doing such as biking, swimming or gardening. Group activities or exercising with friends can help make exercising more pleasant. Use normal daily activities to help your muscles and bones become healthier. Activities such as vacuuming, sweeping and loading and emptying the dishwasher can increase strength and flexibility. Lift with your legs, and avoid sharp twists and turns. Start slow. Start with five minutes of exercise each day and, as you become more comfortable with the routine and notice the effects of fitness, you may increase the exercise time. If you have been inactive for some time you may feel some minor aches and pains. Consult with your doctor of chiropractic if you experience any unusual or moderate pain or other symptoms during or after your exercises. While many seniors feel frightened by the idea of becoming active. Recent studies show that while muscle strength diminishes with age, muscle endurance does not. Exercises that emphasizes endurance, such as dancing, walking or bicycling, are recommended, but there are endurance-enhancing exercises that can be performed in a chair. Doctors of chiropractic can provide advice on how to help older patients remain active and independent. Time to Consider Symptom Duration of 0-2 Weeks as Acute? The purpose of this study was to compare improvement rates in patients with low back pain (LBP) undergoing chiropractic treatment with 0-2 weeks vs 2-4 and 4-12 weeks of symptoms in a prospective cohort outcome study with 1-year follow-up including adult acute (symptoms 0-4 weeks) LBP patients. The numerical rating scale for pain (NRS) and Oswestry questionnaire were completed at baseline, 1 week, 1 month, and 3 months after starting treatment. The Patient Global Impression of Change (PGIC) scale was completed at all follow-up time points. At 6 months and 1 year, NRS and PGIC data were collected. The proportion of patients reporting relevant “improvement” (PGIC scale) was compared between patients having 0-2 and 2-4 weeks of symptoms. Patients with 0-2 weeks of symptoms were significantly more likely to “improve” at 1 week, 1 month, and 6 months compared with those with 2-4 weeks of symptoms. Patients with 0-2 weeks of symptoms reported significantly higher NRS and Oswestry change scores at all data collection time points. Outcomes for patients with 2-4 weeks of symptoms were similar to patients having 4-12 weeks of symptoms. The time period 0-4 weeks as the definition of “acute” should be challenged. Patients with 2-4 weeks of symptoms had outcomes similar to patients with subacute (4-12 weeks) symptoms and not with patients reporting 0-2 weeks of symptoms. This study assessed whether 12 weeks of chiropractic care was effective in improving sensorimotor function associated with fall risk, compared with no intervention, in community-dwelling older adults living in Auckland, New Zealand. Sensorimotor function and multisensory integration associated with fall risk and the physical component of quality of life improved in older adults receiving chiropractic care compared with control. Over 12 weeks, the chiropractic group improved compared with the control group in choice stepping reaction time and sound-induced flash illusion. Ankle joint position sense improved across the 4- and 12-week assessments. Improvements were also seen between weeks 4 and 12 in the SF-36 physical component of quality of life compared with control. In patients presenting with neck pain and arm weakness a multitude of pathologies, ranging from the benign to those potentially fatal, must be considered in the differential diagnosis. The acute onset of neck pain and arm weakness is most commonly due to cervical radiculopathy or inflammatory brachial plexopathy. 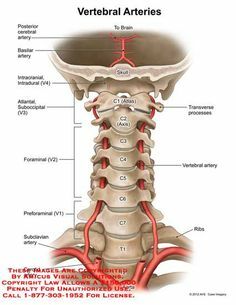 Rarely, extracranial vertebral artery dissection may cause radiculopathy in the absence of brainstem ischemia. We describe a case of vertebral artery dissection presenting as cervical radiculopathy in a previously healthy 43-year-old woman who presented with proximal left arm weakness and neck pain aggravated by movement. Cervical magnetic resonance imaging (MRI) and angiography revealed dissection of the left vertebral artery with an intramural hematoma compressing the left C5 and C6 nerve roots. Antiplatelet treatment was commenced, and full power returned after 2 months. Recognition of vertebral artery dissection on cervical MRI as a possible cause of cervical radiculopathy is important to avoid interventions within the intervertebral foramen such as surgery or nerve root sleeve injection. Treatment with antithrombotic agents is important to prevent secondary ischemic events. Scrap Pain as 5th Vital Sign? In 2001, the Joint Commission rolled out its Pain Management Standards, which helped grow the idea of pain as a "fifth vital sign." It required healthcare providers to ask every patient about their pain, given the perception at the time was that pain was undertreated. Since that time, the U.S. has experienced a surge in opioid prescriptions — and, subsequently, an increase in overdoses and deaths tied to these painkillers. Advocates are urging the Joint Commission and CMS to scrap policies that they say can lead to opioid overprescribing. In separate letters to both groups, Physicians for Responsible Opioid Prescribing (PROP) asked the Joint Commission to re-examine its Pain Management Standards — which once helped push the idea of pain as the “fifth vital sign" -- and asked CMS to strike patient satisfaction questions about pain from its reimbursement procedures. "Pain is a symptom, not a vital sign," the letter states, noting that vital signs such as blood pressure, heart rate, respiratory rate, and temperature can be measured objectively. As a healthcare profession, chiropractic has been influenced strongly throughout the course of its 120-year history by highly influential and opinionated individuals, especially with regard to philosophy and adjustive procedures. These persons include the “founder” of chiropractic, D.D. Palmer, and his son, B.J. Palmer (developer of the meric technique and Hole-in-One or upper cervical technique), Clarence Gonstead (developer of the Gonstead technique), Arlan Fuhr (developer of the Activator technique), James Cox (developer of the Cox flexion-distraction technique), Clay Thompson (developer of the Thompson terminal point technique), George Goodheart (developer of applied kinesiology [AK]), Major Bertrand deJarnette (developer of the Sacro-Occipital Technique [SOT]), and many others. Surveys for the National Board of Chiropractic Examiners indicate that diversified chiropractic technique is the most commonly used chiropractic manipulation method. This study’s objective was to investigate the influences of our diversified core technique curriculum, a technique survey course, and extracurricular technique activities on students’ future practice technique preferences. Two-thirds of US clinicians who replied to a survey about treating obesity reported that they prescribe weight-loss drugs for about one in four obese patients, and they refer 13% of individuals for bariatric surgery. However, in a somewhat-troubling response, they also said that half of the patients who took weight-loss drugs did not meet their "treatment goals." The most striking observation from the survey is that it demonstrates a considerable knowledge gap in the indications, efficacy, and safety of currently FDA-approved drugs for obesity that affect prescribing these medications. Nevertheless, “Believe it or not this is improvement and appears to indicate more healthcare providers are treating obesity,” the report notes. The survey replies suggest that clinicians are trying to help their patients manage their weight, but they are frustrated because their patients are struggling with lifestyle change. The surveyed practitioners reported that they typically treated about 80 obese patients and 110 overweight patients a month, and about 30% to 60% of these patients had type 2 diabetes, hypertension, or other obesity-related conditions. The overall aim of this study was to determine the ability of 2 selected clinical tests to detect or predict neck pain, mid back pain, and low back pain in a school-based cohort of Danish 11- to 15-year-olds. The sensitivity was low, and specificity was high for all tests at both baseline (age, 11-13 years) and follow-up (age, 13-15 years). None of the selected tests could predict incidence cases of neck pain, mid back pain, or low back pain. Clinical tests commonly used in spinal screening in adolescents could not detect present spinal pain or predict future spinal pain. However, some statistically significant associations between spinal pain and tests involving a pain response from the participant were found. The use of combined glucosamine and chondroitin sulfate significantly decreased the loss of cartilage volume in knee osteoarthritis (OA) over a 6-year period, Canadian researchers have found. Compared with individuals who had never taken the supplements and whose cartilage loss in the lateral compartment at 6 years was -8.85%, those with 1 year of exposure to medications had a loss of -8.21%. In addition, patients with 2 to 3 years of exposure had a loss of -6.66%, while those with 4 to 6 years of exposure showed a loss in the lateral compartment of -6.90%. In a double-blind, NIH-sponsored study known as GAIT, more than 1,500 patients with painful knee OA were randomized to receive glucosamine, chondroitin, both, celecoxib (Celebrex), or placebo for 6 months. 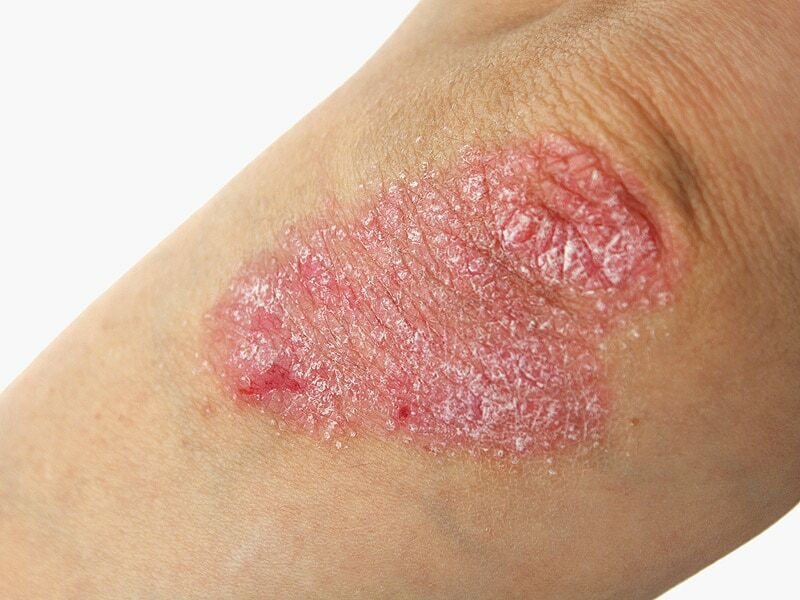 Patients with psoriasis but not psoriatic arthritis (PsA) have a high prevalence of subclinical inflammatory lesions, and these changes are associated with later development of PsA, German investigators have found. In their longitudinal analysis, nearly half of the psoriasis patients showed MRI evidence of subclinical inflammation, compared with only 13% of healthy controls. Sixty percent of the patients had arthralgia. The implication is that "subclinical inflammation appears to substantially influence the risk of patients with psoriasis to progress to PsA. This transition to PsA is considered being a critical step in defining the onset of musculoskeletal disease in patients with psoriasis and to shape early interventions. In our longitudinal analysis we show that both symptoms related to arthralgia as well as subclinical synovitis influence the risk for progression to PsA." Exercise, by its very nature, can put you at risk of injury, especially if you’re new to working out or carrying excess weight. Even the most seasoned exercisers can find themselves with injuries from overuse of joints, accidental falls, or improper technique. In one year, close to 1,500 people visited U.S. emergency rooms due to injuries they received while using treadmills, weights, elliptical machines or other exercise equipment, a Consumer Products Safety Commission report found. However many exercise-related injuries are never reported, making the real number as high as 50,000. In past 17 year period, there were over 25,000 weight-training injuries seen in U.S. emergency rooms, according to a study in the American Journal of Sports Medicine, with sprains and strains being the most common diagnosis. Most often, injuries occurred from weights dropping on the person. Injuries occur even in the more “gentle” exercise regimens, such as yoga. There were 4,459 yoga-related injuries in the United States in one year reported by the U.S. Consumer Product Safety Commission found. The most common injuries related to yoga, according to the American Academy of Orthopedic Surgeons (AAOS), are caused by repetitive strain to and overstitching of your neck, shoulders, spine, legs and knees. The very same things that provide your body the benefits during exercise -- the stretching, holding, moving, balancing and flexing -- can also lead to injury if you try to do too much, too quickly, or overuse the same muscle repeatedly. Controversy exists regarding the effectiveness of manual therapy for the relief of tension-type headache (TTH). However most studies have addressed the impact of therapy on the frequency and intensity of pain. No studies have evaluated the potentially significant effect on the patient’s quality of life. A factorial, randomized, single-blinded, controlled clinical trial was conducted to assess the quality of life of patients suffering from TTH treated for 4 weeks with different manual therapy techniques. The results support the effectiveness of treatments applied to the suboccipital region for patients with TTH. Avoiding the Sun is as Dangerous as Smoking? Nonsmokers who stayed out of the sun had a life expectancy similar to smokers who soaked up the most rays, according to researchers who studied nearly 30,000 Swedish women over 20 years. This indicates that avoiding the sun "is a risk factor for death of a similar magnitude as smoking." The study found that women who seek out the sun were generally at lower risk for cardiovascular disease (CVD) and noncancer/non-CVD diseases such as diabetes, multiple sclerosis, and pulmonary diseases, than those who avoided sun exposure. And one of the strengths of the study was that results were dose-specific — sunshine benefits went up with amount of exposure. "We did find an increased risk of...skin cancer. However, the skin cancers that occurred in those exposing themselves to the sun had better prognosis." Low back pain is highly prevalent and one of the most common causes of disability in U.S. armed forces personnel. Currently, no single therapeutic method has been established as a gold standard treatment for this increasingly prevalent condition. One commonly used treatment, which has demonstrated consistent positive outcomes in terms of pain and function within a civilian population is spinal manipulative therapy provided by doctors of chiropractic. Chiropractic care, delivered within a multidisciplinary framework in military healthcare settings, has the potential to help improve clinical outcomes for military personnel with low back pain. However, its effectiveness in a military setting has not been well established. The primary objective of this study is to evaluate changes in pain and disability in active duty service members with low back pain who are allocated to receive usual medical care plus chiropractic care versus treatment with usual medical care alone. Because low back pain is one of the leading causes of disability among U.S. military personnel, it is important to find pragmatic and conservative treatments that will treat low back pain and preserve low back function so that military readiness is maintained. Thus, it is important to evaluate the effects of the addition of chiropractic care to usual medical care on low back pain and disability. Neck pain is a common complaint in physicians’ and chiropractors’ offices. There is no convincing evidence to support a causal link between chiropractic manipulation and CAD. Data from the Centers for Disease Control and from national surveys document 10.2 million ambulatory care visits for a neck problem in 2001 and 2002. By comparison, there were 11 million office-based visits for ischemic heart disease. 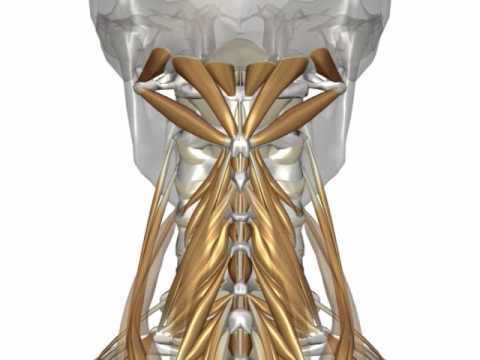 Many patients with neck pain seek chiropractic care and undergo cervical manipulation. As many as 12% of North Americans receive chiropractic care every year, and a majority of these are treated with spinal manipulation. In a randomized controlled trial, both mindfulness-based stress reduction (MBSR) and cognitive behavioral therapy (CBT) improved function (P=0.04) and diminished pain "bothersomeness" to a significantly greater extent than usual care at 26 weeks. The biopsychosocial approach to pain management has been gaining ground, most recently with last week's release of the National Pain Strategy, which emphasized the interdisciplinary approach over other forms of treatment. "Following only 8 weeks of group treatment, patients who received MBSR or CBT showed some improvement at least up to one year later. This is an important finding that few other treatment options provide. The difficulties of managing chronic low back pain demand such long-term solutions." Truck drivers with obstructive sleep apnea (OSA) who were not adequately treated for the condition were five times more likely to be involved in preventable crashes than drivers without the sleep disorder, researchers reported. Truck drivers who were non-adherent with positive airway pressure treatment had a crash rate for preventable U.S. Department of Transportation-reportable crashes of 0.070/100,000 miles that was nearly five-fold more that the rate of 0.014/100,000 miles for matched controls (without sleep apnea) and fully compliant drivers. Findings from this analysis of a large-employer screening and monitoring program for OSA in the trucking industry make a strong case for routinely screening commercial truck drivers for OSA, and requiring close monitoring and treatment of those who have it, the authors stated. The purpose of this study was to compare the effects of over-the-counter treatments—ThermaCare HeatWraps (chemical reaction to produce heat above the skin), Icy Hot Patch, and Icy Hot Cream (topically applied menthol)—on skin and deep tissue temperature. ThermaCare HeatWraps provided the greatest degree of tissue warming and increase in tissue blood flow. Among patients who have meniscal damage complicated by knee osteoarthritis (OA), arthroscopy did not decrease or delay the likelihood of eventually having knee replacement, a researcher has reported. In a large cohort of patients with knee OA and meniscal damage, 4,883 had knee arthroscopy and 2,143 had physical therapy alone. Over the course of more than 10 years, almost 1,400 patients in the arthroscopy group underwent knee replacement surgery compared with 488 in the physical therapy group. "Over time, patients who had knee arthroscopy were 30% more likely to undergo knee replacement than those who had physical therapy alone." "A lot of orthopedists tell patients that arthroscopy will buy you time, staving off the need for total knee replacement, but we found that was not the case," the study author said. Treatment of chronic low back pain (LBP) in older adults is limited by the adverse effects of analgesics. Effective nonpharmacologic treatment options are needed. 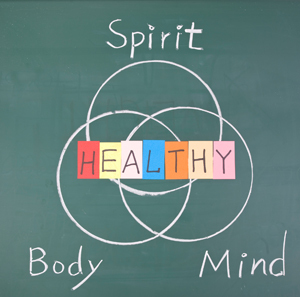 To determine the effectiveness of a mind-body program at increasing function and reducing pain in older adults with chronic LBP a single-blind, randomized clinical trial compared a mind-body program with a health education program. A mind-body program for chronic LBP improved short-term function and long-term current and most severe pain. The functional improvement was not sustained, suggesting that future development of the intervention could focus on durability. A 12-point clinical score for children with concussion has been developed and shown in a new study to identify those who are more likely to have prolonged symptoms and therefore need closer follow-up. Concussion has received a fair amount of media attention recently, which has resulted in rising numbers of visits to the emergency department and primary care doctors. "The first question parents ask is, 'When is my child going to be better?' But prior to this work we didn't have any scientific basis to answer this question." Low body mass index (BMI) and high body fat percentage, not just high BMI, are independently associated with increased mortality in both men and women, a new study suggests. "The major finding was that when BMI and body fat percentage were included in the same fully adjusted models, low BMI and high body fat percentage were both associated with increased all-cause mortality. Mortality increased as BMI decreased and body fat percentage increased," the authors write. "This suggests that after adjustment for BMI, higher adiposity may have a detrimental effect on survival and that after adjustment for body fat percentage, a lower BMI may likewise be associated with decreased survival." Overall, the results of the study showed that having a higher body fat percentage was independently associated with reduced survival, as was having a low BMI. In a study of close to 40,000 postmenopausal women, those who walked briskly were less likely to develop heart failure within the next 2 decades, after adjustment for relevant variables. Leisure-time exercise was also beneficial, but walking pace trumped that, in this analysis from the Women's Health Study. 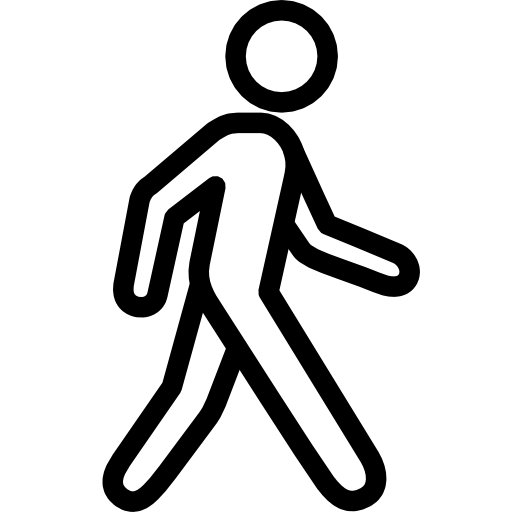 Walking pace remained associated with a lower risk of heart failure after correction for physical activity, but the reverse was not true. "If you take two women who are exercising the same amount in their leisure time, and one is walking faster, one slower, the one walking faster would have more benefit." Eating blueberries may improve thinking and memory skills in older adults with mild cognitive impairment (MCI), new research suggests. "There is a very large, basic-science literature ― molecular studies, cellular studies, and animal studies ― that demonstrates cognitive enhancement with blueberries, but there are only just a few human studies to date." In one study, 47 adults aged 68 years and older with MCI were randomly allocated to consume a freeze-dried blueberry powder equivalent to a cup of blueberries or a placebo powder once a day for 16 weeks. The researchers carried out pre- and postintervention cognitive tests on all participants and brain imaging in a subset. "There was improvement in cognitive performance and brain function in those who had the blueberry powder compared with those who took the placebo." Oral opioids do not provide better pain relief than oral non steroidal anti-inflammatory drugs (NSAIDs) for knee osteoarthritis (OA), according to a systematic review. “Patients who failed NSAIDs and are considering opioids should be aware that the pain relief from opioids is likely to be no greater than the pain relief they had with NSAIDs, but may provide 'an extra chance' before considering total knee replacement." Although commonly utilized interventions, no studies have directly compared the effectiveness of cervical and thoracic manipulation to mobilization and exercise in individuals with cervicogenic headache (CH). The purpose of this study was to compare the effects of manipulation to mobilization and exercise in individuals with CH. The study concluded that six to eight sessions of upper cervical and upper thoracic manipulation were shown to be more effective than mobilization and exercise in patients with CH, and the effects were maintained at 3 months. Practicing tai chi significantly improved endothelial function and arterial stiffness in a trial involving older women with rheumatoid arthritis (RA) reports a study. Can Flavonoids Fight Weight Gain? A diet rich in flavonoids, a class of plant pigments found in fruits and vegetables, may help slow the expansion of waistlines as we age. Over the 24-year study period, participants gained an average of 2-4 pounds every 4 years. 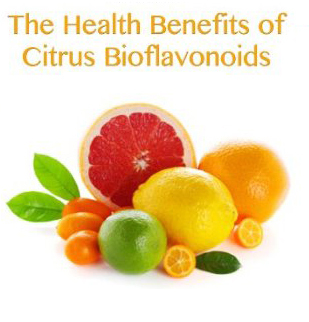 But every standard deviation increase in flavonoid consumption shaved up to a quarter-pound off that weight gain. The magnitudes of these associations were small, less than a pound per increased daily standard deviation, but a single serving per day of many fruits can often provide more than one standard deviation. For example, 1 half-cup of blueberries provides about 121 mg or approximately 12 standard deviations of anthocyanins, an important subclass of flavonoid, they noted. A high-protein nutritional supplement halved mortality risk in older malnourished patients hospitalized because of heart or lung disease. An intention-to-treat analysis showed that one life could be saved for every 20 patients who received the specialized supplement, reported the lead author of for the study from Texas A&M University in College Station. The study clearly reinforces the power of nutrition in impacting health outcomes. For the people in this study who were ill and malnourished, nutrition was critical to survival because it helps keep your body, especially your muscles, functioning properly. Real acupuncture treatments were not superior to "sham acupuncture" (non-insertive treatments) in controlling hot flashes in menopausal women, a small randomized trial in Australia found. However, both groups did show an approximately 40% decrease baseline hot flash score at the end of treatment, which was durable when checked again at 3 and 6 months, the authors wrote. Moreover, mean hot flash scores were slightly lower in the sham acupuncture group compared to the regular group (15.04 versus 15.36), the difference was not statistically significant. Although some have criticized the idea of “prediabetes" as a way for drugmakers to get patients started on diabetes drugs earlier, more patients will ask physicians to test them for prediabetes if the CDC and two major advocacy groups have their way. The American Medical Association (AMA) and the American Diabetes Association joined with the CDC to unveil a new public service campaign about prediabetes on Thursday. The campaign, which includes humorous public service announcements, encourages people to take a short online test to assess their risk for prediabetes, and then share the results with their physician. “There are 86 million people in this country who have pre diabetes, and 90% don’t know it,” claims the president-elect of the AMA. The AMA wants to make doctors aware of the campaign “because they may have lots of people coming into their office and saying, 'I just took the prediabetes test and I think I have it.'" 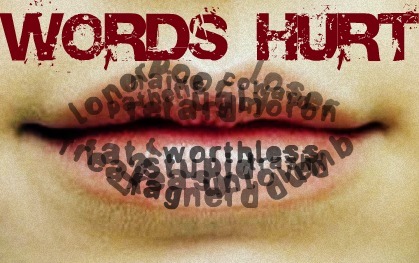 Bullying leads to much more than hurt feelings. The largest study of its kind once again underscores just how harmful childhood bullying is, with victims much more likely to be diagnosed with a psychiatric disorder in adulthood, new research shows. “Being a victim of bullying is frequently a traumatic experience for children, and we showed that being victimized — that is, being exposed to bullying — was independently associated with psychiatric disorders, and especially depression requiring treatment. So being frequently victimized in early school years is a risk factor for later depression, and the worst prognoses were with children who both frequently bullied and who were also exposed to bullying,” authors report. Weight loss saves knee cartilage. The loss of 10% of body weight slowed degeneration of knee cartilage among overweight or obese patients. In a retrospective imaging study, those who lost more weight had a greater reduction in the rate of cartilage layer damage as measured by T2 on MRI. ”Substantial weight loss not only slows knee joint degeneration, it also reduces the risk of developing osteoarthritis,” said the study author. "The studies show there is a protective aspect of weight loss on knee cartilage. Weight loss may slow or prevent osteoarthritis." The study assessed 506 patients who were enrolled in the Osteoarthritis Initiative. During the 4-year study, 177 patients lost between 5% and 10% of their body weight and 76 patients lost more than 10% of body weight. The 253 patients who didn't lose weight served as controls.